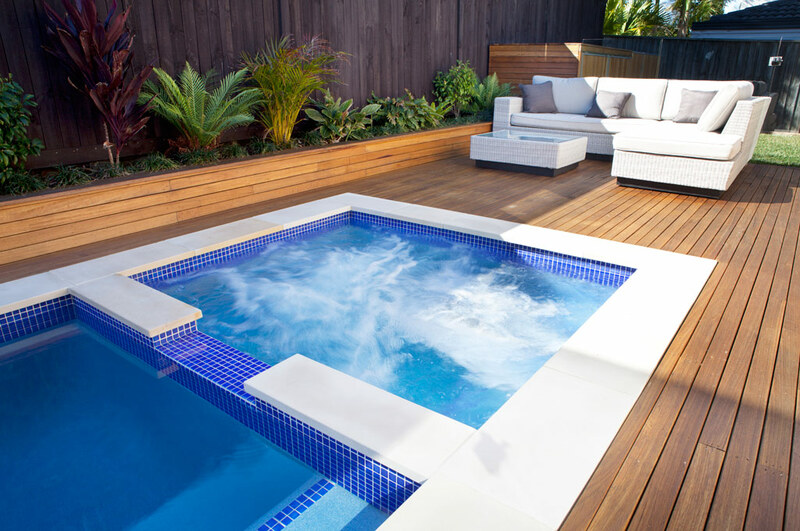 This classic plunge pool with spa is designed to take advantage of a small space and stylistically enhance a contemporary home. The result is a fine example of clean lines and symmetrical visual appeal. The use of Merbau timber decking and narrow honed Himalayan sandstone surrounds create a fresh and welcoming space. 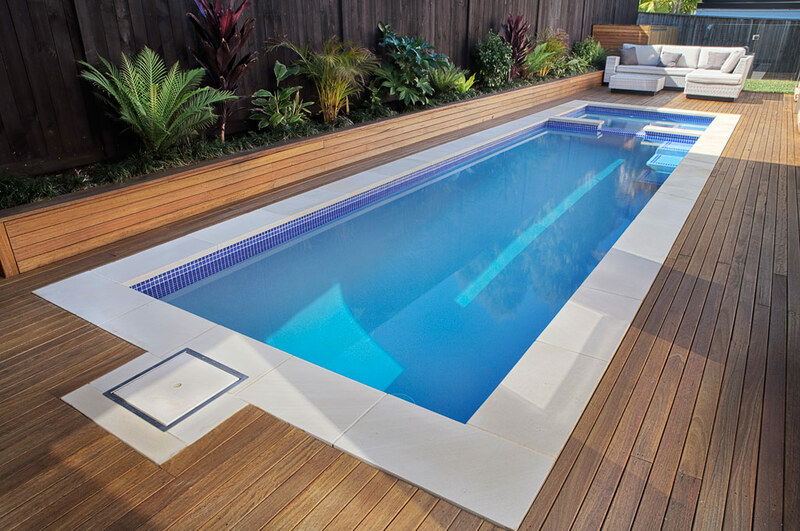 The pool features blue glass mosaic waterline and step tread tiles, beautiful navy blue pebbled lining and a small spill-over mouth with sandstone coping. The spa component is a reliable and straightforward set-up, with blower and spa jets delivering perfect relaxation at the touch of a button. 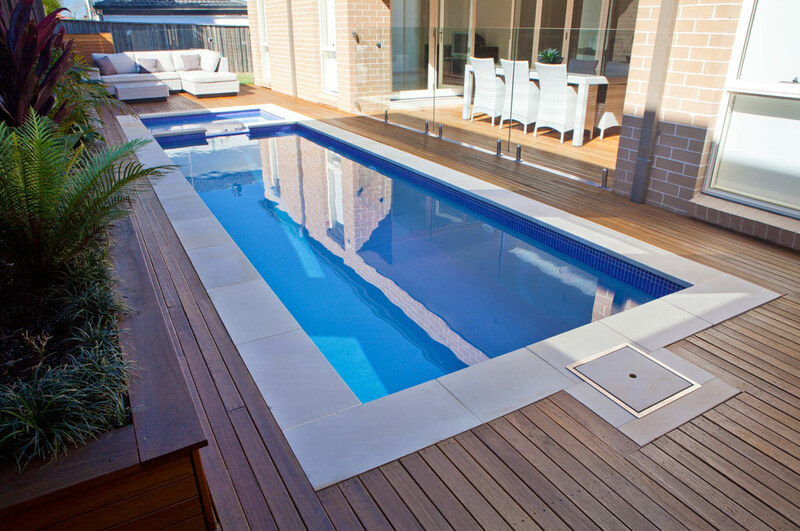 There is also a deep and shallow end to the pool, a sandstone skimmer box lid and integrated gas heating for both the swimming pool and spa.